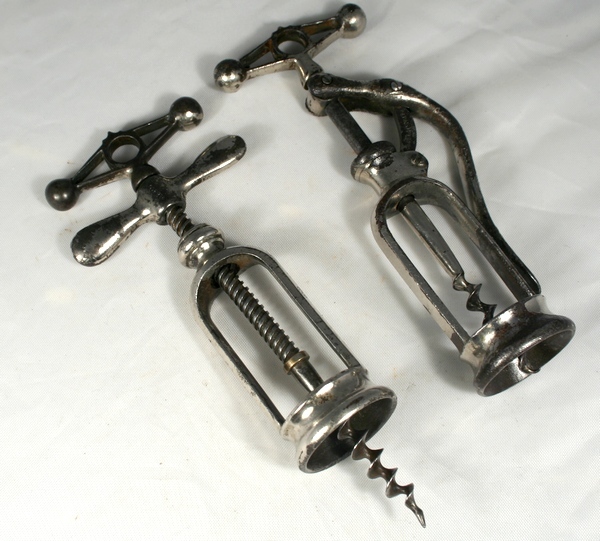 Variations of two popular Perille corkscrews with the rarer crown top. The first one is the Le Presto, which is in good condition with some pitting. It is marked LE PRESTO PARIS JHP DEPOSE. French Brevet 291 691 by Jacques Perille. 12 Aug 1899/27 Nov 1899. The second one is the Aero, which is in very good condition. It is marked AERO DEPOSE JHP PARIS. Shipping Cost: £3 for UK, £4 for Europe & £6 for Rest of World (ROW) - discounts for multiple purchases. I recommend that you choose a signed-for service which is £1 extra for UK and £3.50 extra for Europe & ROW, otherwise I cannot be responsible for any package that goes missing. Payment Details: Please pay within 3 days of invoice. I also accept other payment methods.